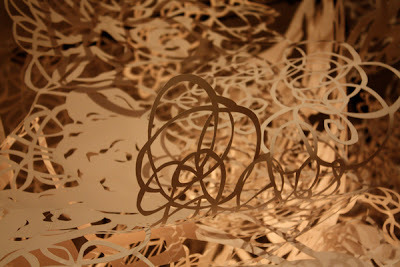 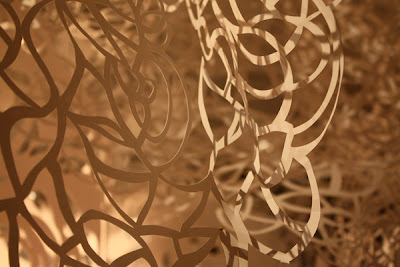 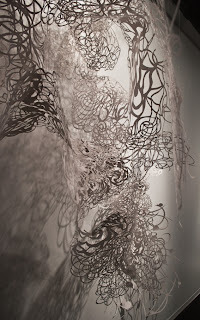 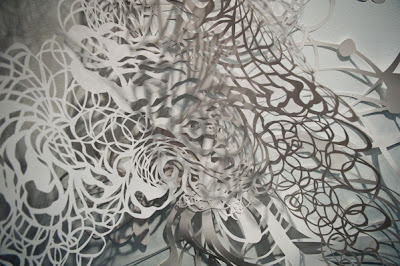 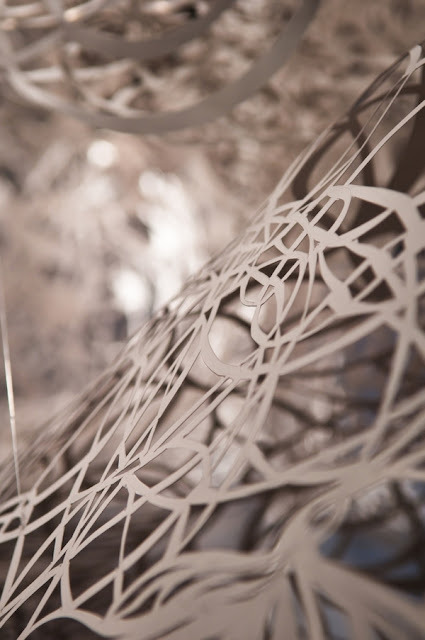 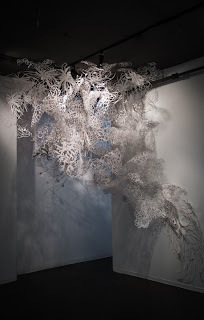 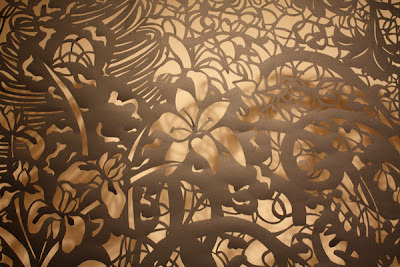 Vanessa Alarie produces intricate installations using paper, but manipulates light and shadow in creating an atmosphere and ambience that gives her pieces a dynamic, imposing feel. 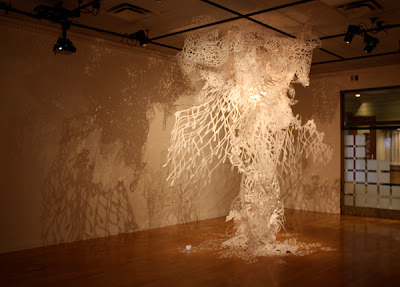 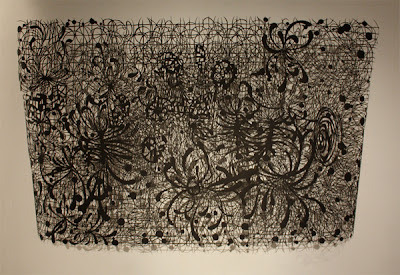 Her organic forms are fantastical and are like vines growing on a wall, or a thick tree. 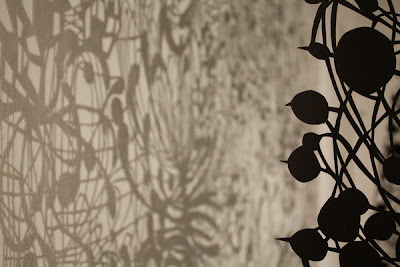 The most impressive aspect is the way light is caught, and shadow projected. 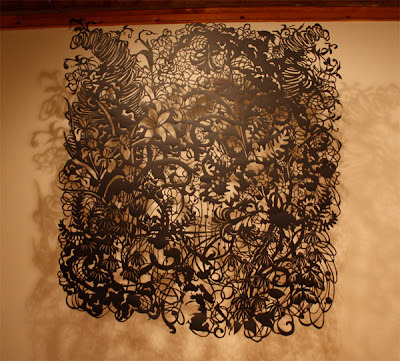 The simplicity of the materials used to produce such elaborate work is amazing, though I wonder what happens if she developed her work in thin metal- and how light would interact with it that way.